Fellaini's goal cost €9.5 M to Valencia. Valencia Reportedly Believe ‘Illegal’ Marouane Fellaini Goal Cost Them €9.5M. 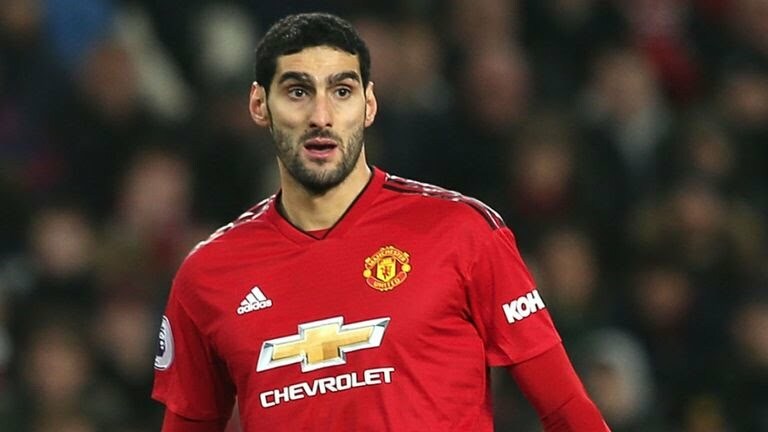 Valencia reportedly believe Marouane Fellaini’s late “illegal” winner for Manchester United against Young Boys during Tuesday’s UEFA Champions League action cost them €9.5 million, as Los Che have managed their budget believing they would progress from the group stages. According to AS, the Spaniards were furious when they learned Fellaini “deprived” them of the money even though they still would have had to beat United in their final match had he not scored a winner. The report also stated Los Che were left with “indignation” when they saw the goal after their loss against Juventus. The Swiss visitors did an excellent job shutting down United’s attack until Fellaini found some space inside the box in the final minutes, spinning and firing home. The goal led to some hilarity on social media. With the goal, United booked their spot in the next round, sending Valencia to the UEFA Europa League. As a result, the Spanish were understandably less thrilled about the incident. Valencia’s chances of advancing to the knockout stages seemed slim at best when the draw was made, as Juventus started the year among the title favourites and United remain a far bigger side than Los Che. A draw away to Young Boys in October and United’s win at the Allianz Stadium made their job that much harder, setting up Tuesday’s scenario. If Bern had held on for a draw at Old Trafford, the difference between the Red Devils and Valencia would have been three points, giving them a chance on the final matchday. Valencia already made a very dull start. Valencia have won just three La Liga matches so far this campaign. Valencia have only managed wins against Young Boys and Rayo Vallecano this season. However, the goal being stopped by David de Gea and the late goal made by United’s fellaini was everything needed to booked their spot in the next round, sending Valencia to the UEFA Europa League.